How are your Spring Projects list going? Do you have a list or do you just wing it? First off on our list is mulching our garden beds and putting down some fresh cypress chips on our path. We thought we would have a couple of truck loads delivered and hire a few teenagers to spread the mulch, but the affordable place where we get it at doesn't deliver anymore, so we will have to spread it ourselves, a trailer full (4 1/2 yards) at a time. 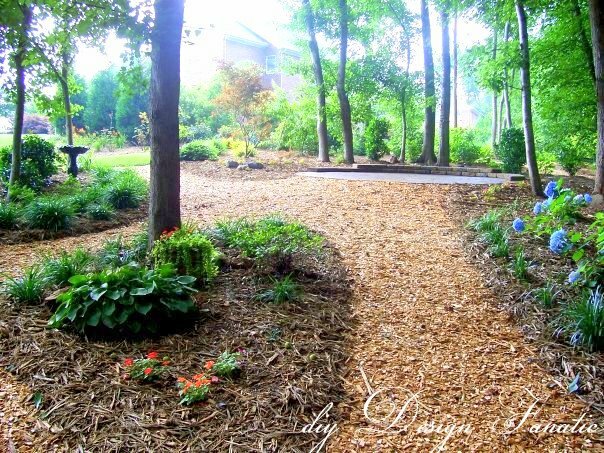 We need a total of 22 yards of mulch for all the beds, plus about 2 yards of chips for the path. Anyone want to come and help? Mr. Fanatic made a new base for the playhouse when he moved it from another place in the yard last year and we've never gotten around to painting it. Its just one of those things that bugs me every time I walk by it. Do you ever do that...? This year we definitely need to refresh the deck. The last time I painted it was in 2010. The white rails don't need painting, but they could use a bath with a little bleach. I think we'll be changing the color of the floor to gray. The project that I'm really looking forward to Mr. Fanatic doing is installing our new gas cooktop. Well, that's my short list and would be ecstatic if we got all of that finished. I also have several other things on my running list that will be done over the course of the next several months and have a few that I know won't be done for awhile. Stuff comes up that is more pressing and moves things down on the list. I'm hoping I will have a lot of before and afters to show you after next week. What's on your Spring Projects short list? Looks like you will be busy Pam. LOVE the new stove. You are going to love gas. I am shocked all these years Mr. Fanatic being the good cook and all he has not had gas. Happy Friday! Lucky you to get that new cook top. Oh, how I wish we had gas. Great projects ahead of you Pam! 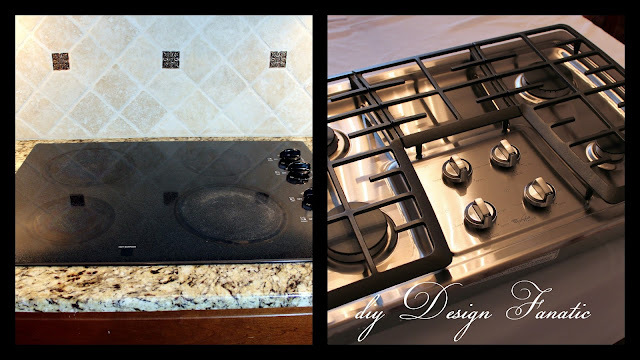 I love the idea of a gas cooktop! Good luck with all of the yardwork! I just love looking at pics of your yard. 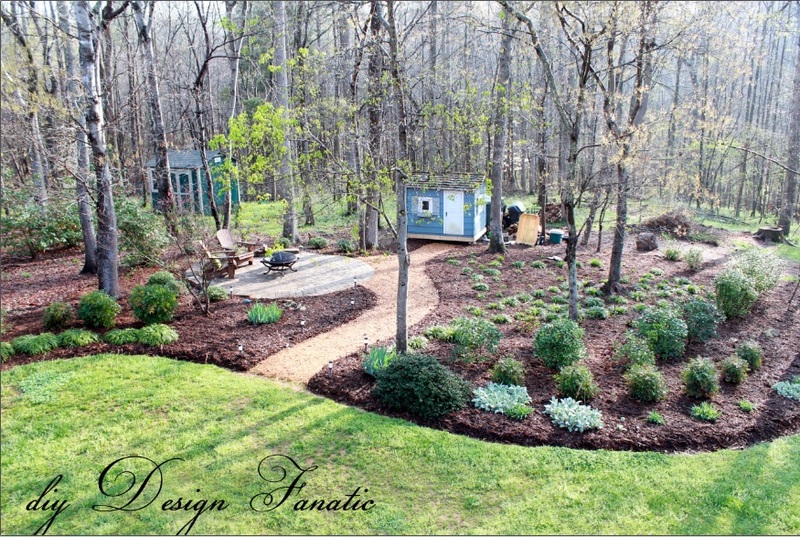 We or shall I say the hubs will be putting down new mulch this weekend. I have tendonitis in my ankle so I won't be much help. My front door needs staining again & I want to do more planting along with pressure washing the porch & patios. I'm jealous that you can do all that already! Did you look on craigslist for people that will do yard work? Your new gas cooktop looks awesome! I bet you will love it! Have fun on your up coming week off! What a beautiful Garden. All that lovely green grass.